Culver City real estate is booming and our expertise lies within Culver City and its surrounding areas of West Los Angeles. 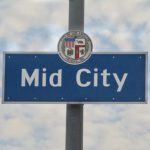 We’ve been working the territory in and around Culver City for over 20 years and we understand the market. Our knowledge extends beyond simply working in the area, but experiencing in these areas over the past two decades has given us the ability to provide insight on the changes that occur on a regular basis. 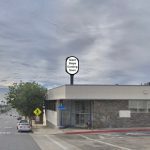 With Culver City continuing to grow and evolve, the market will evolve with it and your commercial properties are in great hands with Vars Real Estate. If you are looking to buy or sell commercial property in the area, we’re the right company to work with. The Culver City real estate market is our specialty and we will apply our knowledge of the territory and our experience working in the West LA market to help you make the best purchase for your needs considering cost, location and property quality. As a seller seeking representation, we will position your property to maximize its value. Only looking to rent? Or maybe you’re looking for tenants to lease your commercial space. Well, you’re in luck, because we know the Culver City real estate leasing market just as well as we know the buying market. While representing a landlord, we will maximize the property’s potential. While representing a tenant, we will find the best quality space at an efficient price. Culver City real estate is our specialty, but we also work within the confines of the following areas: Santa Monica, West Los Angeles, Mid City, Mar Vista/Palms, Venice, Marina del Rey/Playa del Rey, Playa Vista, Westchester, Inglewood, Crenshaw/Hyde Park. 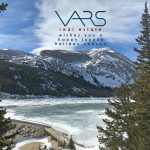 If you are looking to work with a real estate company that has dedicated over two decades to their territory, then Vars Real Estate is the company for you!